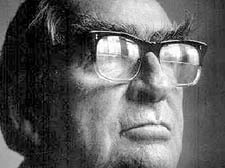 I CAN imagine what Denis Healey must have looked like when he strode on a beach in Italy as an officer during the war under heavy fire from the Germans. He described the scene, and himself as a “beach master” during Desert Island Discs on Friday, forced to take cover wedged up against a rock as bullets spattered the beach around him. Anyone who had been through that hell must have felt party politics was child’s play – and so it must have been for Healey who became known as a Labour bruiser, especially as Chancellor in the late 1970s. Recalling his soldiering days, 91-year-old Healey, who lives in Highgate, chose the old Eighth Army favourite, Lily Marlene, and a verse, The D-Day Dodgers, sung to its melody, that was popular in1944. He didn’t know who wrote it but remembered it had been inspired by remarks in Parliament by Lady Astor who thought the British army in the Italian campaign were having a cushy time. As for the poem, in fact it was a brilliant satire by a great Scottish songwriter, Hamish Henderson, who also fought in Italy. HE is full of praise for Hampstead’s Royal Free Hospital and the NHS but filled with disdain at the skulduggery of expenses-grabbing MPs. celebrating his 80th birthday on Monday. Brought up in Hampstead Garden Suburb by his Canadian parents, Bruce returned to Montreal for three years during the war before returning to England and becoming a Catholic priest, a monseigneur at St Aloysius in Somers Town. That was until the urgent need for nuclear disarmament took over his life. There will be a party for 200 on Sunday, and meanwhile Bruce is filled with optimism by Barack Obama and his ambitions to end the fear of nuclear weapons disaster. “People just don’t realise what a courageous man he is in a country where assassination is just round the corner,” he told me. But the British Parliament appals him. “What has happened with all these MPs and their expenses is absolutely disgraceful,” he declared. THE painter David Graham proclaimed the benefits of a younger wife to me yesterday (Wednesday). She is his junior by 38 years. The 83-year-old continues to travel the world to paint “on the spot” in Spain, Israel, Morocco and France, although the physical side of his art has fallen to his Colombian wife Martha whom he met while teaching at a London college 20 years ago. The prolific Graham, who has a retrospective exhibition (his second) at Lauderdale House, Highgate until July 19, has been painting since he was 13 and produces 100 works or so a year. YOU cannot keep the good woman Esther Rantzen down – even though she has ambitions for that bearpit, the House of Commons. What would she do if elected as an independent MP for Luton South? She would campaign for a Disneyland London in Luton. Rantzen, CBE, who lives in East Heath Road, said in a keynote speech at the Heath and Hampstead Society annual meeting in St Stephen’s Church on Tuesday night, that her prospective constituents were lacking in “self esteem”.